2. The control ability can be 100 meters when equip with RS232, while with RS485 it can be up to 1000 meters. 3. Remote control function: program on-demand,program switch,brightness adjust,panel turn on/turn off. 4. 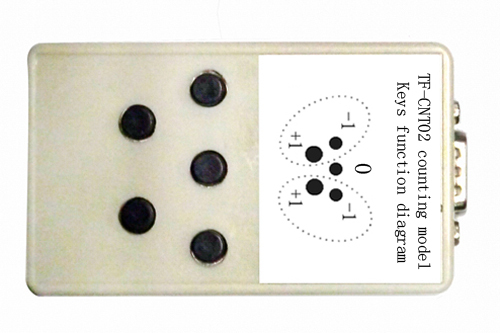 The buttons on the remote control board for counting the value of No.1 and No.2 counting area '+1'and '-1', in the meantime for reset to '0'. 2. 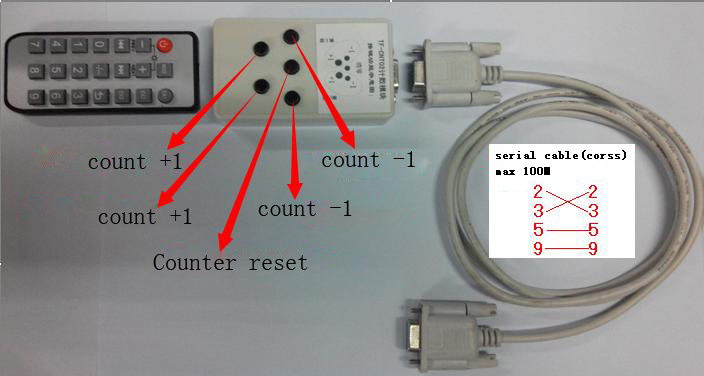 There are 5 buttons on the board,the left side two buttons for counting the value of No.1 counting area'+1'and'-1'; the right side two buttons for counting the value of No.2 counting area'+1''-1'; the middle one button is for reset the value of No.1 and No.2 to'0'. 1. 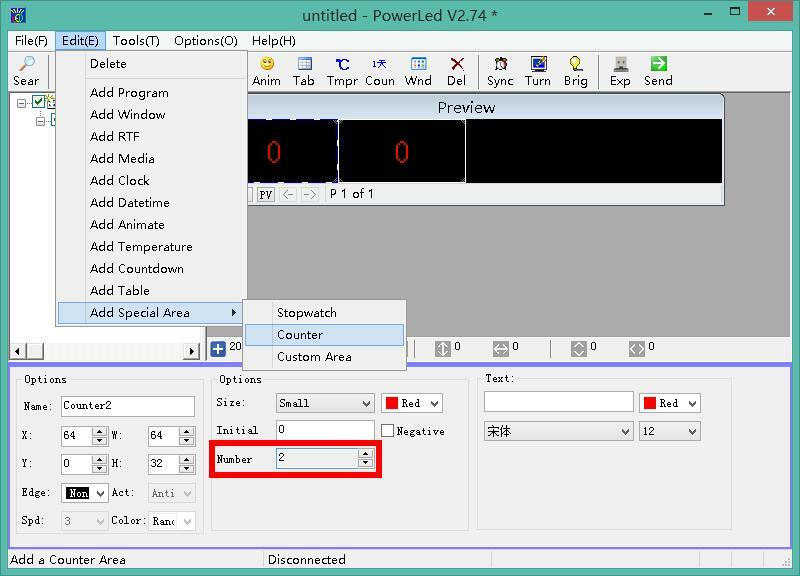 Start 'PowerLed' software,click 'Edit'→'Add special area'→'counter', the number defualt to be 1. If you need 2 counting area, pls change the second area to be No.2. 2. Click 'Send' option to send programs to control card.